Ensuring retirement income security is a priority for individuals, employers, and policymakers. To achieve this, employers and policymakers sponsor and subsidize retirement saving plans and provide educational interventions. The effectiveness of these tools will depend on individuals’ interest and willingness to engage in planning and preparing for retirement. Using merged administrative and survey data for public sector workers in North Carolina, we find that individuals who more heavily discount the future are less likely to plan and save for retirement. Further, retirement planning behavior is measured both subjectively and objectively, and time preferences have an association with subjectively measured retirement planning but not with objectively measured retirement planning. Finally, individuals’ retirement timing is associated with time preferences but only among individuals with a retirement plan. In total, our results highlight the important role of time preferences in determining retirement planning and preparedness. The online version of this article ( https://doi.org/10.1007/s12122-019-09287-y) contains supplementary material, which is available to authorized users. The authors thank Melinda Sandler Morrill, whose contributions at an earlier stage of this project are greatly appreciated. The authors gratefully acknowledge funding from the Sloan Foundation, Grant Number 2013-10-20. The authors would like to thank Bryan Allard, Emma Hanson, and Aditi Pathak for research assistance. The research reported herein is part of an on-going project that is being conducted in partnership with the North Carolina Retirement Systems Division. The authors thank Janet Cowell, former North Carolina State Treasurer, Steven C. Toole, Director of the Retirement Systems Division, Mary Buonfiglio, Deputy Director of Supplemental Retirement Plans, and Sam Watts, Policy Director of the Retirement Systems Division for their help and support. 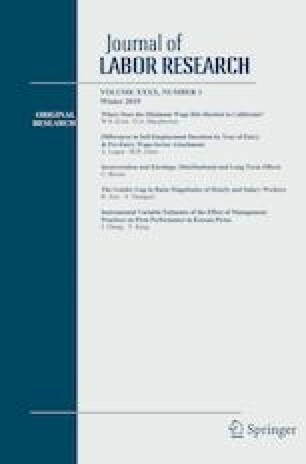 An earlier draft of this paper was prepared for the 2014 SIEPR Conference on Working Longer and Retirement; the authors thank seminar participants for helpful comments. The authors also thank the editor, three referees, Olivia Mitchell, and John Pencavel for helpful suggestions. The opinions and conclusions expressed herein are solely those of the authors and do not represent the opinions or policies of the North Carolina Retirement System or any other institution with which the authors are affiliated.